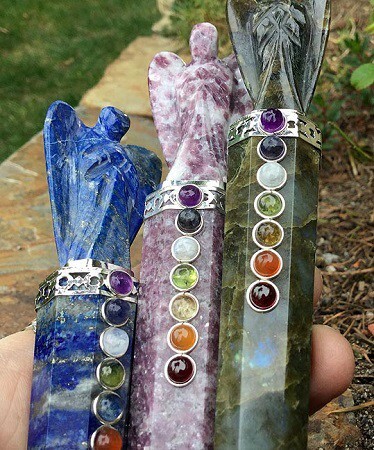 These beautiful crystal wands are great for energy work, reiki healing or Chakra alignment. 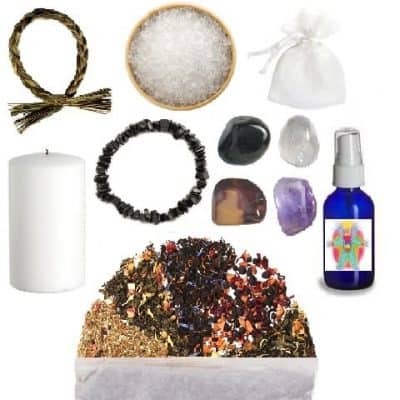 They bring “angelic energy” into any healing practice! Wands are often used for the channeling of energy. A wand is seen as a gentle way to invite or encourage energy. They are enhanced by what material the wand is made from and the purpose or intention it has been given. 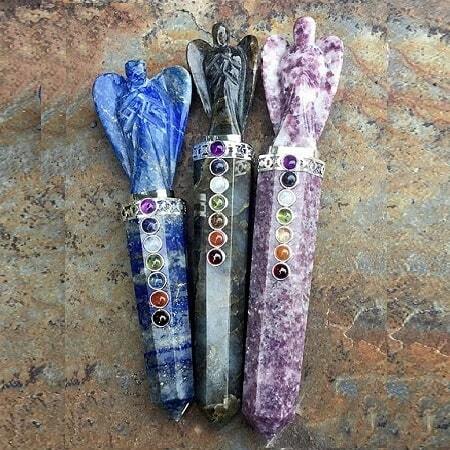 These angel wands come with a large 2″ inch angel on the top, along with 7 cascading Chakra stones down its center. 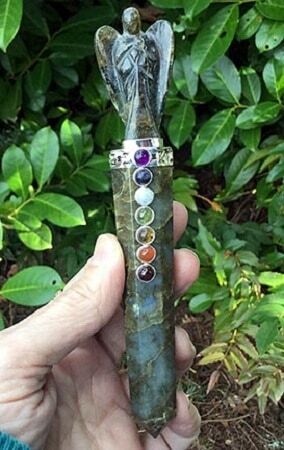 Labradorite Wand (6″ inches): is the symbol of vitality. This metallic iridescent stone brings forth each person’s strengths to share with the world. Helps one find their originality. This stone brings easier, more restful sleep as it has a very calming effect. Sodalite Wand (6.5″ inches): This stone is most recognized for healing, meditation and wisdom. This a good stone for general communication for self and writing. It is used for expressing logic and ideas due to its connection with the Throat Chakra. 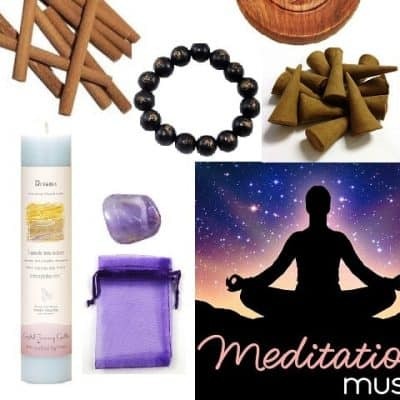 It is also used at the Third Eye Chakra due to the fact that it can access fine levels of intuitive information and promote the understanding of these concepts. Labradorite Wand (6″ inches): is the symbol of vitality. This metallic iridescent stone brings forth each person’s strengths to share with the world. Helps one find their originality. This stone brings easier, more restful sleep as it has a very calming effect. This also make the stone a great stress reducer. Use as a worry/empowering stone and rub it Watch how beautiful it will sparkle with all the attention. Helps us relate to others. 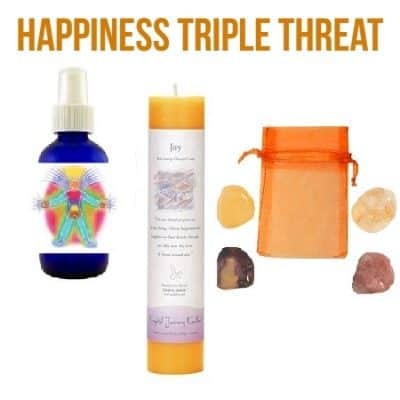 Opens energy flow to the Solar plexus and Third Eye Chakra and whatever other centers are most in need. Sodalite Wand (6.5″ inches): This stone is most recognized for healing, meditation and wisdom. This a good stone for general communication for self and writing. It is used for expressing logic and ideas due to its connection with the Throat Chakra. It is also used at the Third Eye Chakra due to the fact that it can access fine levels of intuitive information and promote the understanding of these concepts. It is also known to enhance community relationships. Considered a stone that is still evolving, sodalite can strongly affect changes in your attitude about yourself. It helps you be more objective and less critical about ways of dealing with existence.